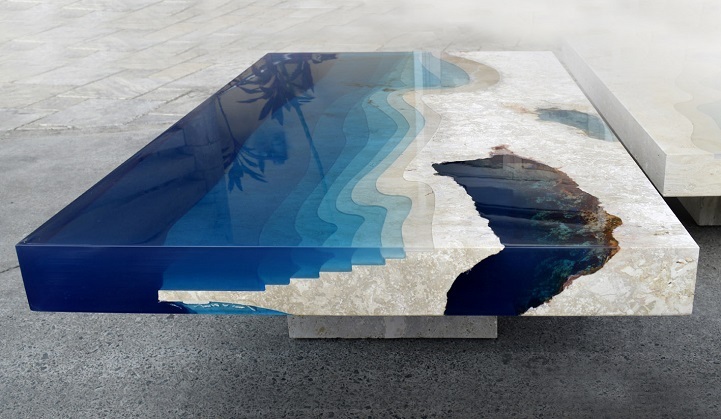 Instead of repeating mantras when your blood pressure starts to rise, you could just focus on this gorgeous resin and marble table and mentally transport yourself to a relaxing tropical beach. 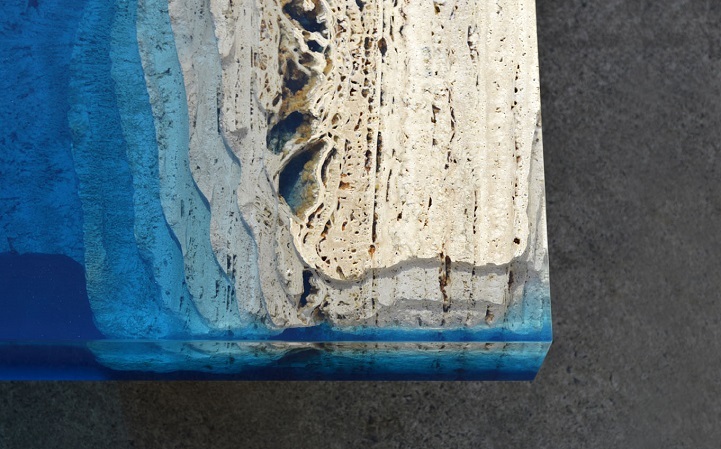 Designer Alexandre Chapelin of La Table produces beautiful layered pieces using textural sand-colored marble, sliced and augmented with sheer washes of crystalline blue. 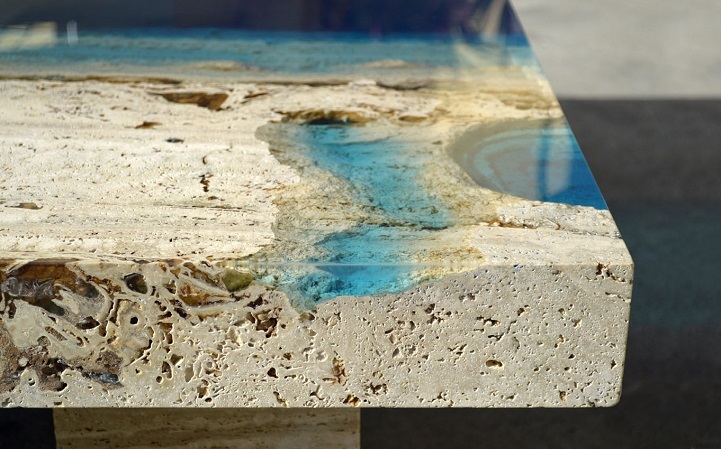 The travertine marble chosen for each table is full of natural pits and holes, making it perhaps less desirable for typical marble applications, but perfect for mimicking the organic qualities of a real marine environment. 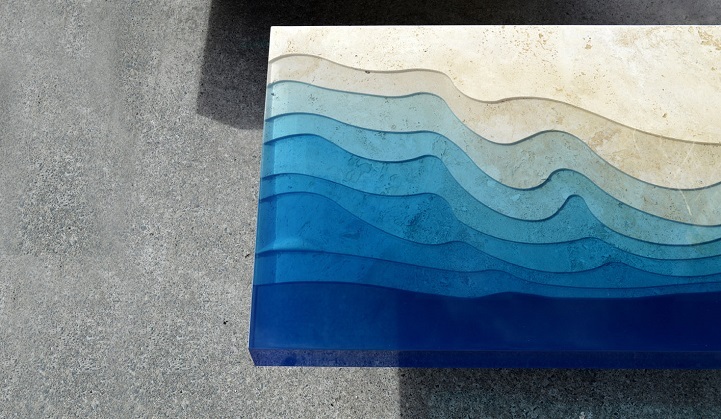 Looking at each surface from above, you can easily imagine them as aerial photographs of secluded seaside locales. 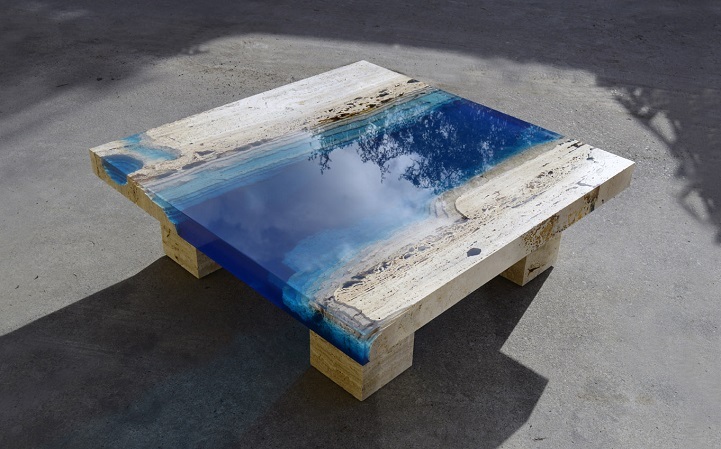 The Lagoon 55 is a coffee table version of larger tables previously created for Chapelin’s Lagoon series. 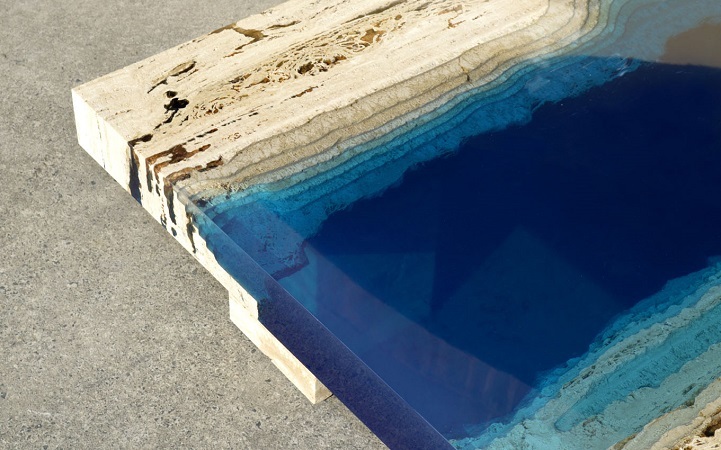 Dips in the surface of the marble create small pools ‘inland’ from the deeper, darker sections of pure resin in vivid blue. Because of the variations in the materials, each design is one of a kind and will not be reproduced.